HBOArya Stark got stabbed several times. “Game of Thrones” is a fantasy show that features dragons, ice zombies, and murderous smoke babies, to name a few. 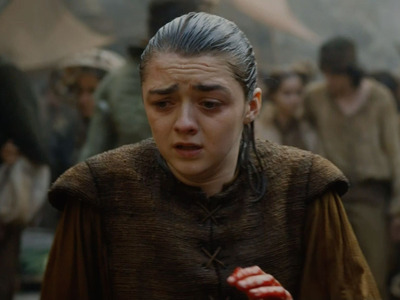 But the most unrealistic thing that’s ever happened on the HBO series might be Arya Stark’s quick, very active recovery from a half-dozen or more serious stab wounds over the past two episodes. INSIDER spoke with a doctor who confirmed that Arya’s prognosis probably wouldn’t look so good — and she’d almost certainly die of a massive infection. 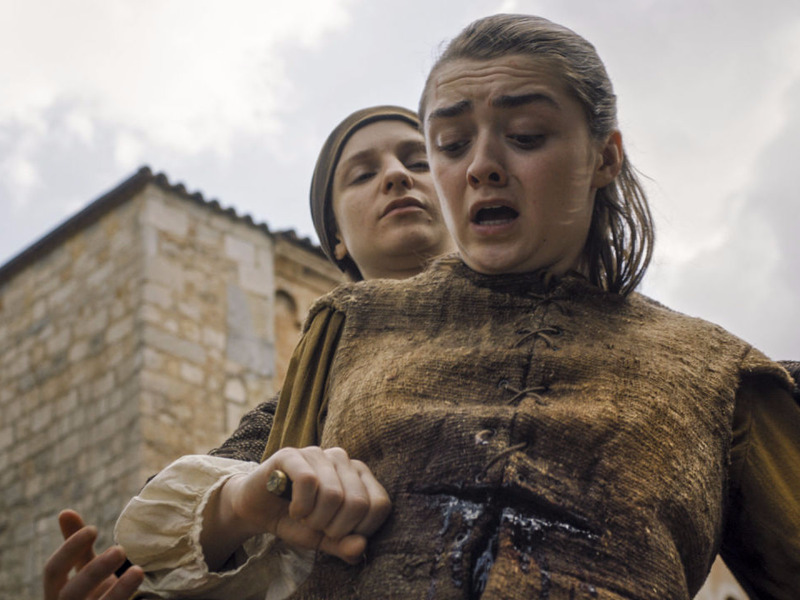 Raunig explained to INSIDER that the most important question for Arya’s survival is whether or not the Waif’s knife punctured the peritoneum, a membrane that encloses the abdominal organs, including the bowels, kidneys, stomach, and liver, among others. HBOShe dove into gross canal water with open wounds. “Let’s run through chain of events: Arya was stabbed about six to ten times, with one very deep stab wound which I’m about 100 per cent positive penetrated the peritoneum. She jumped in filthy water, stumbled through the streets, bled a whole bunch, was given some soup and ‘milk of the poppy,’ and bandaged up,” Raunig wrote in an email. HBOArya would probably have a massive infection by now. Well, in a world where you can bring people back from the dead, Raunig says anything is possible. There’s a chance that the stab wounds all missed vital organs, which would have kept her from immediately bleeding out or dying of peritonitis, an infection of the abdomen from perforated bowel. 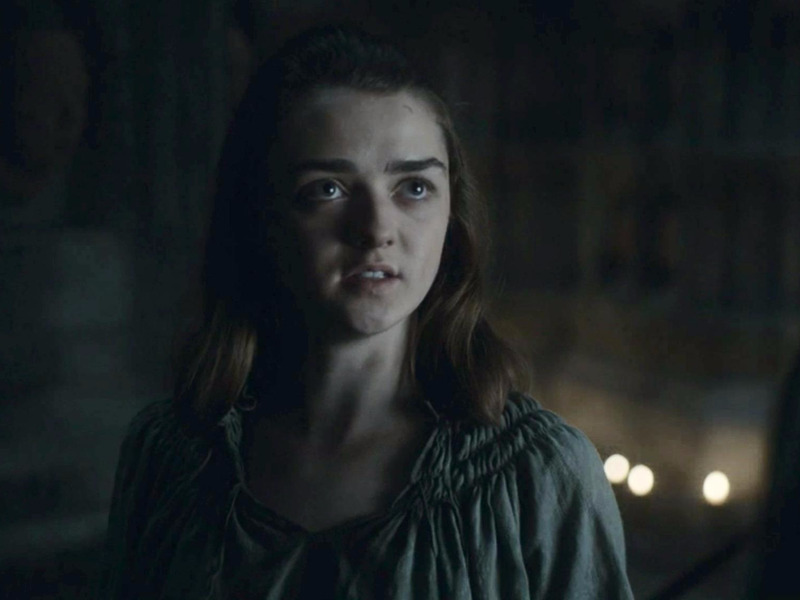 So there’s a chance that the stab wounds on their own wouldn’t kill Arya, even if her parkour-like escape from the Waif is unlikely. That’s not the biggest problem, however. There you have it. In all likelihood, she’s probably just another addition to the Hall of Faces.